Shrimp. Photo courtesy of Ag Communications. 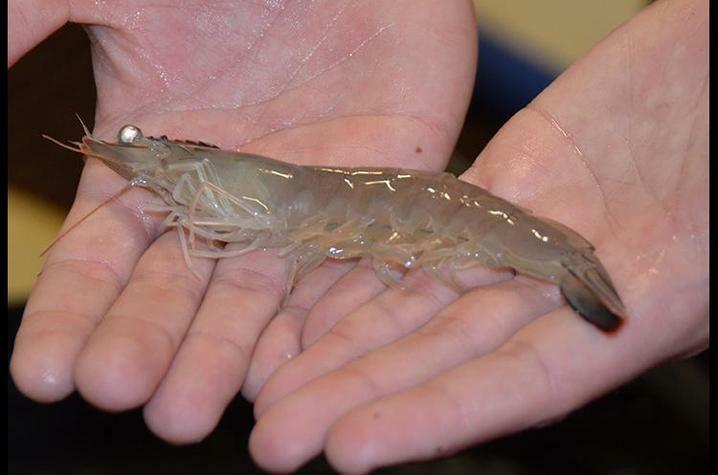 LEXINGTON, Ky. (Aug. 16, 2018) — The Kentucky Cooperative Extension Service will host a workshop about indoor shrimp farming for those interested in learning more about the relatively new industry to the United States. The workshop is Sept. 14-15, at the Kentucky State University Harold R. Benson Research and Demonstration Farm in Frankfort. During the workshop, attendees can participate in how-to sessions and roundtable discussions. Workshop topics will give participants a comprehensive overview of indoor shrimp farming from starting the operation to marketing the product. The registration deadline for the workshop is Aug. 24, and the cost to attend is $25 per person. To register online, visit https://s.surveyplanet.com/B1Ioo0h7m. Participants should make checks payable to the Kentucky Aquaculture Association and mail them to Andrew Ray, 103 Athletic Road, Frankfort, KY 40601. KSU’s Harold R. Benson Research and Demonstration Farm is located at 1525 Mills Lane in Frankfort. A limited number of hotel rooms are reserved for workshop participants at the Capital Plaza Hotel in Frankfort at the special rate of $103 per night. Individuals should use the code “shrimp workshop” when making a reservation. The Kentucky Cooperative Extension Service is a land-grant partnership between the University of Kentucky College of Agriculture, Food and Environment and Kentucky State University that takes the university to the people in their local communities, addressing issues of importance to all Kentuckians.